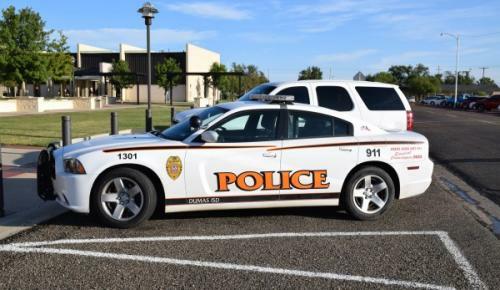 Our school police officers are committed to providing a safe and secure environment for students, staff, and visitors of Dumas ISD. Contact Chief Payne at (806)935-6889 or larry.payne@dumasisd.org. Interquest utilizes specialty trained canines to sniff out drugs, alcohol, deadly prescription medications, guns, ammunition, and gunpowder based explosives, edibles, as well as the narcotic based liquids-oils-vapors. Each year the K-9 and his handler go through a rigorous national certification process to ensure that they are using the very best detection canines available. A strong deterrent program leads to safer campuses. Parking Permits are required for all students and staff.